Today I have a new to me brand, Cácee (pronounced [kah•shay]), and I'm delighted to show it to you! I got to try out 10 colors and their base and top coats, and I have to say, I'm pretty darn impressed! I got to try a variety of finishes, from foil to glitter to creme and back, and they were all great! To better showcase the colors I received, I'm going to split them up over a couple of posts and show off some nail art featuring them as well as the swatches! 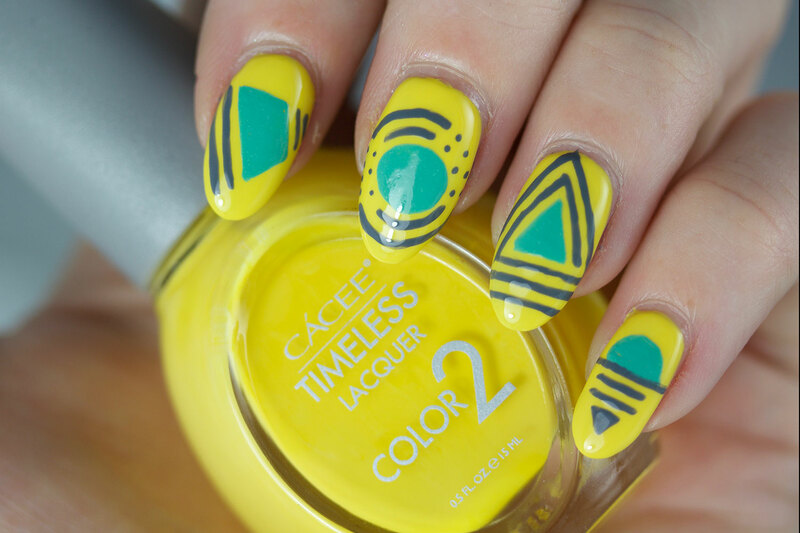 Today I am featuring Gray as You Go, Far & Oasis, and Bright Summers with some geometric nail art! I had the idea to use the colors to create radiating vibrations from the geometric shapes. It kind of reminds me of wifi or something. Good goooood good good vibrations! 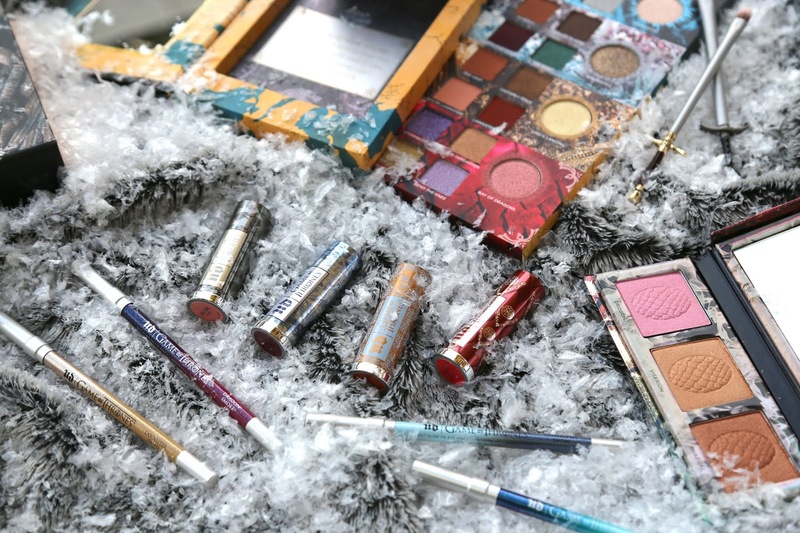 Hit the jump for swatches and more! I love yellow. I love it in all forms, from mustard to sunshine to dandelion, it's all beautiful! 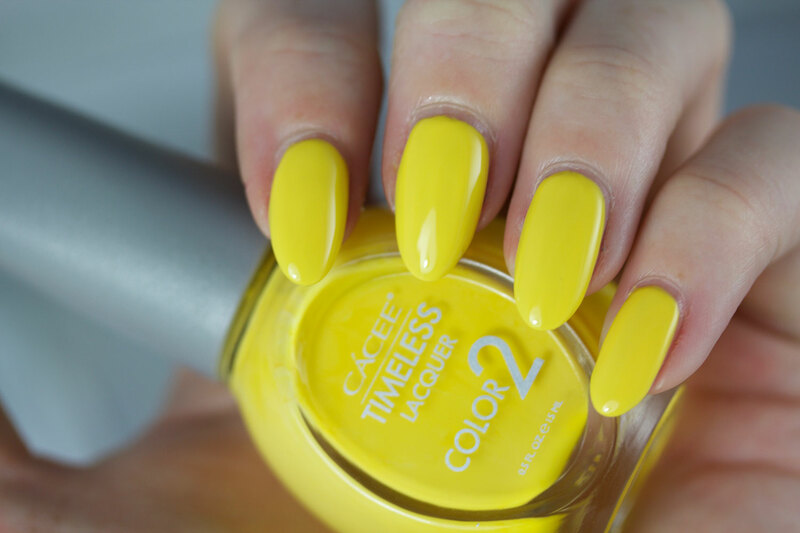 This is a vibrant, sunny yellow that is absolutely perfect for the upcoming summer months! Green-tinged aqua creme with silver shimmer. Such a pretty color, and I love the addition of the shimmer. It's kinda minty, kinda aqua, kinda awesome. It's like a shamrock shake on steroids. Mmmm shamrock shake. 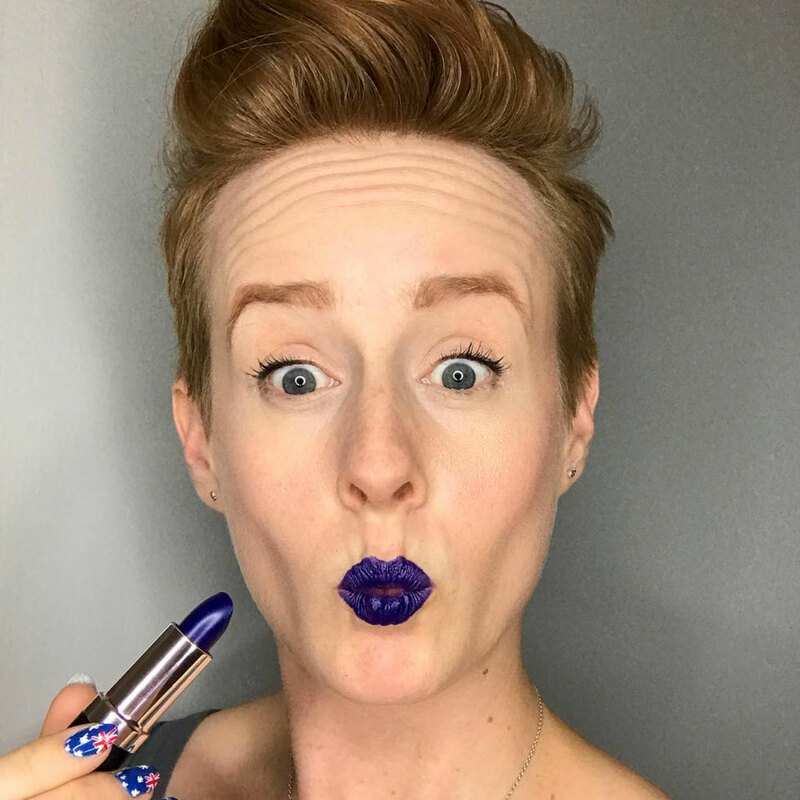 This was one of the first that I tried out before switching, and man is it pigmented! It's a borderline one-coater, and depending how you polish, it could definitely be one. 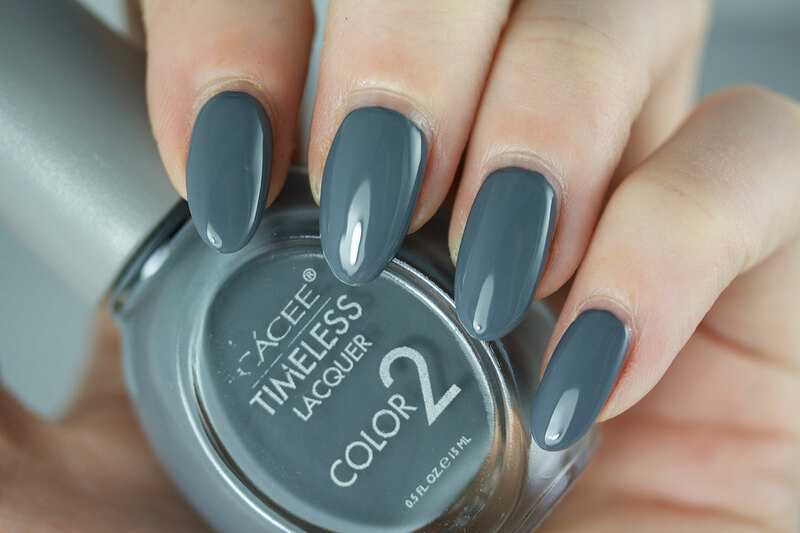 I can never ever have enough grey polishes, so this one is a very welcome addition to the collection! Cácee polishes can be purchased in store at your local beauty supply and online at Caceebeauty.com.